Q: Hasn’t translating the Bible over and over ruined its reliability? Q: How can we be sure that every word, and every verse, in the Bible is supposed to be there? Q: Where did the original 27 books of the New Testament disappear to? A: It is likely that the original copies of the books of the New Testament were destroyed during the persecution of the church by the Romans. The churches were shut down and it is likely that the early Christians could not protect the original New Testament writings. Fortunately, manuscripts were written by scribes and other people to preserve the inspired Word of God written by the apostles of Jesus. Q: Why did was the gap between the original written copies and the earliest manuscripts so slim? How did people know that it was urgent to copy down the New Testament? “3. Discovering And Classifying New Testament Manuscripts.” Bible.org. N.p., n.d. Web. 09 Jan. 2017. Q: Where were the early copies of the OT kept and who took care of them? Q: How can we be certain what the OT says is true, and not a story made up and passed down verbally like other works of literature, for example, Homer’s Odyssey? Question: Why are numbers and nature of wording differences important when considering the NT? Question: Between Matthew 1 and 2 it jumps from when Jesus was 2 to Him being baptized in the river. Why is there no record of Jesus being a kid/teenager? I used bible.org to use the different translations to compare the different variants. I found the answer in the text. Q: What makes scripture inspired by God? There were many other writings during the time that Jesus lived but not all of them are considered apart of scripture. Why is this? Source: “What is the canon of Scripture?” GotQuestions. gotquestions.org/what-happens-death.html. Q: What classifies something as a manuscript? Q: How can we trust the reliability of the NT knowing that there are 400,000 textual variants from the original Greek version ? A: Jesus and the Apostles constantly affirm the authority of the Old Testament with the simple statement, “It is written….” The words of a text are attributed equally to the writers (“Moses said…”) and to God (God said…”). Paul reminds us that all Scripture is profitable precisely because it is “inspired” (theopneustos, “God-breathed”), the very counsel of God. “What kind of book is the Bible?” I submit there are only two plausible answers. The Bible is merely a book by man about God, or it is a book given by God through man, to man. Q: How are we sure that the bible says what God wants it to say knowing it has been translated from language to language ? Question: How can we trust the NT manuscripts to be reliable if they have been changed at one time? Answer: When we hold the New Testament in our hands, we are holding the Word of God. An accurate, reliable, and faithful record of the words and ideas of the original authors, as inspired by God. When we are reading the Bible, we are doing it to learn more about God and receive wisdom from Him. So we need to trust that what he says is true no matter if it has been changed. Question for Webster: If the gap between the original manuscripts and the early manuscripts are slim, why doesn’t the average classical author have any copies for thousands of years? Q: If the original books of the New Testament decomposed, how can we be sure what we have now is the Word of God? A: While we are concerned about not having the original of the NT, there are no originals of any classical text that has survived the ancient Greco-Roman world. Textual criticism attempts to recover the originals and we can conclude that we have 95% of the inspired words, and some scholars place the number as high as 99%. We have a vast number of manuscripts, more than any classical scripts. Moreover, the manuscripts may differ here and there but they do not overturn any doctrine. 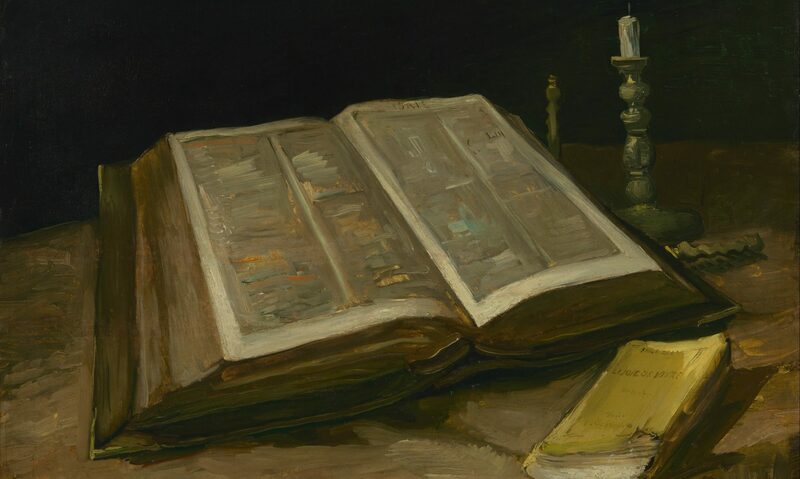 Where one word or clause in a verse may be scrutinized to determine the best reading among many variants, the entire sweep of the New Testament assures us that these doctrines stand on bedrock. Q: Although the Bible is God inspired, how can we be sure that man has not corrupted what God intends? Question: With the original 27 books of the NT disappearing long ago, probably within decades of their composition, how can we still trust that the copies we have today are still accurate? Question: If we don’t have the original copies of the books of the New testament, how can know for sure that Matthew, Mark, Luke, and John really did write the books of the New Testament. Q: In the article, the author said thatthe fourth and smallest category of textual changes that are both meaningful and viable. These changes may only make up 1% of Scripture, it still concerns me. Does this 1% make the Bible way less reliable? A: No. The NT has great wealth, diversity, and age of the materials in its manuscripts. These 1% also do not necessarily change the theology of the message. Even if there was a one or two word difference, the message remains the same and we would still know what the original text says. All variants of NT manuscripts did not affect any essential truths. Q: If I was a person passing on the word of God, I would make sure to copy word for word and double check to make sure it is perfect. The fact that 1% or 1 out of 100 words are different is a little alarming. Should we be less confident that there variants than if there were no variants. Question – If the authenticity of the translation of Mark 16:9-20 is doubted, why is it included in most copies of the Bible? Answer – It is included for several reasons. For one, many consider that passage to be inspired. In addition to this, it is thought that Mark ended his gospel in a way that goes beyond Mark 16:8 but is not necessarily identical to verses 9-20. Those scholars who believe this argue that a scribe filled in what was lost. However, some scholars today believe that Mark intended to end his gospel at verse 8, and the last twelve were added by a scribe “who misunderstood Mark’s literary intention.” Nonetheless, no fundamental teaching of the Bible is altered if these 12 verses are left out. Question – How can we be sure that all of the copies and manuscripts we have (even if they were written close to the time of the originals) are accurate if we do not have the originals to compare them to? Question: If we don’t have the original writings of the NT, and there are errors in it’s many manuscripts, how can we trust the scripture to be God’s word? Answer: (1) The bible causes super natural changes in peoples lives. (2) The fulfillment of prophecies. And along with that we have documented evidence that these prophecies were indeed fulfilled. (3) The Distribution and Indestructibility of the Bible. The bible is the worlds most known piece of literature, recorded down in over 1000 different languages. (4) Archeology supports the bible. Evidence of the bible has been found in many different cultures and time periods, throughout history. (5) This couldn’t have been the invention of man. Man is to selfish to write a story about something greater than himself. It must be some kind of divine inspiration. Question: If we don’t have the original writings of the NT, then what evidence do we have that the original authors are in fact the original authors? Q — How was it decided which books and letters were the inspired Word of God and therefore included in the Bible? A — Five main tests, the laws of canonicity, were used when deciding which books are inspired by God. Two of these standards were that the book had to be authoritative and prophetic. This means that it had to have the authority of a prophet, king, judge, or scribe of Israel or be the testimony of an original apostle. Third, it must be authentic and consistent with “other revelation of truth.” Fourth, it must be dynamic, demonstrating God’s power to radically change lives. Finally, a book had to be received and used by believers. Only after a book passed all five of these tests was it recognized as God’s word. Q — How can we be sure that the New Testament manuscripts say the same things as the original documents if the originals disappeared within decades of their composition? Question: We know that the Bible was written by human authors and we also know that humans make mistakes. How can we really trust the accuracy of the Bible knowing how many humans have been involved with writing the Bible? Answer: The bible was written with divine inspiration and not directly by humans. With the authors being inspired by God and with various sources to back each authenticity of the scripture we know that there is no factual errors. There may be differences in a few words or punctuation but nothing that takes away from the canonization of the Bible. Question for Webster: As oral story telling was a big thing in the time of the composition of the Bible, so how can we be sure that the stories were not changed and or made up? Question: How can we know that the manuscripts are an accurate representation of the original texts, and how can we know what translation is the most accurate. Answer: We have over 5,000 manuscripts of the NT that have little to no differences between each other making it very unlikely for the manuscripts to not be an accurate representation of the original texts. As far as what translation is most accurate it is mostly subjective as they all essentially portray the same message. Question 2: How can we know for sure who wrote the NT if we do not have the original text, and how do we rebuke a skeptic who confronts us with this issue.